Yummy Mummy Recipe: Apple Chips! 3. 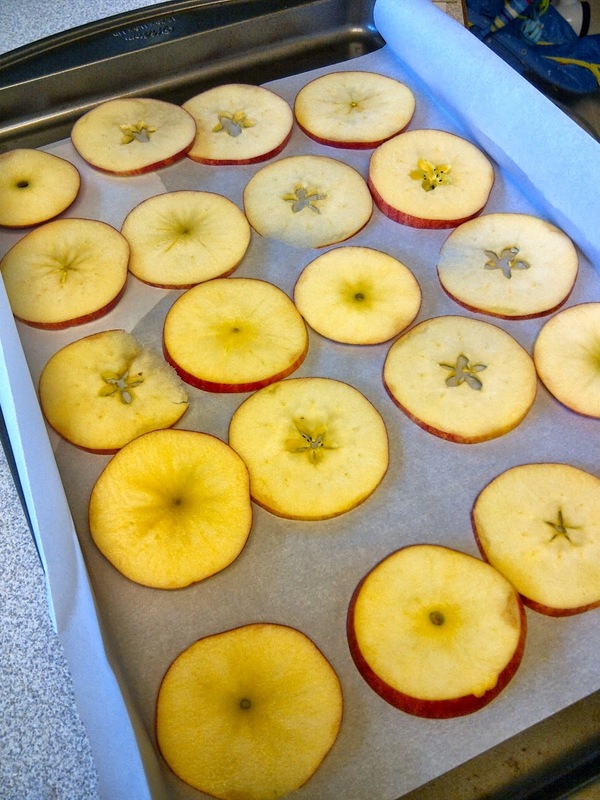 Line baking sheets with parchment & lay apple slices in a single layer. 4. If using sugar, mix with cinnamon to taste & sprinkle over apples. 5. Pop in the oven for 2 1/2 hours, or until apples have reached the texture you desire. 6. Allow to cool & enjoy! I also made a naked batch without any cinnamon and they were delicious! It’s also nice to mix a combo of naked & cinnamon apple chips- yummy!